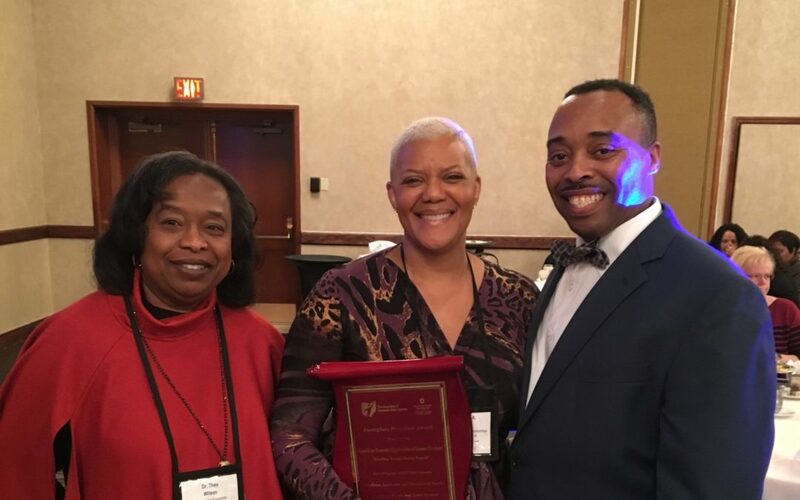 Representatives from CEOGC traveled to Columbus to accept a 2017 OACAA/Glenn College Exemplary Program Award for its Friendship through Reading program. The Exemplary Program Award, co-sponsored by the Ohio Association of Community Action Agencies (OACAA) and The Ohio State University’s John Glenn College of Public Affairs, honors Community Action Agency (CAA) programs that demonstrate outstanding results in supporting individuals and families on their path to self-sufficiency. The Friendship through Reading program launched in 2016, and is building stronger more positive relationships with children, families and police officers through a unique collaboration with Head Start centers and the Cleveland Police department. The program started with Cleveland Police Chief Calvin Williams reading story books to children on the first day of school at the William Patrick Day Head Start Center. Today the program has expanded to all 13 of the Council’s Head Start centers. Police officers read popular children’s books (If You Take a Mouse to School; Llama Llama Red Pajama) to Head Start students; they answer the children’s questions, ease their concerns about the police, and even discuss law enforcement as a career. Based on the success of the Cleveland program, other agencies across the country are implementing similar programs, and the Council has been invited to regional and national conferences to present the program. The purpose of community action programs – which are locally controlled, private, non-profit organizations – is to reduce poverty and to help low-income people become self-sufficient. Community Action Agency (CAA) programs statewide were asked to nominate programs that meet the outlined standards. Nominated programs were evaluated by a team of three reviewers based on the clear articulation and documentation of the problem or need, an analysis of the options for solving the problem or addressing the need, program development and implementation, program strengths, outcomes and lessons learned.